Our collection of sterling silver mezuzah cases are handcrafted from the finest silver and hallmarked 925. You will be proud to have one of our silver mezuzah cases at the entry of your doorways. Our mezuzah cases have unique designs and are excellent quality. All mezuzah cases come beautifully gift boxed. Looking for a small present for a housewarming or for the doorway of your new office? 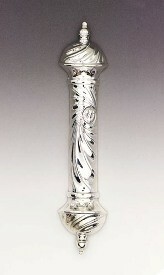 Then our sterling silver mezuzah cases will be an appropraite choice. 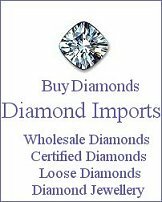 Choose from an array of designs and sizes that will reflect your love of the finest silver and of your Jewish identity. 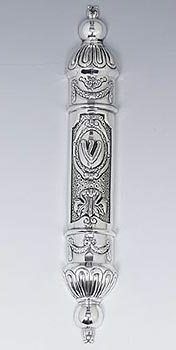 Why not make a purchase today form Silver Imports' wonderful range of sterling silver mezuzah cases.